Now you can literally eat what you tweet, thanks to Pillsbury Toaster Strudel’s Twitter campaign. 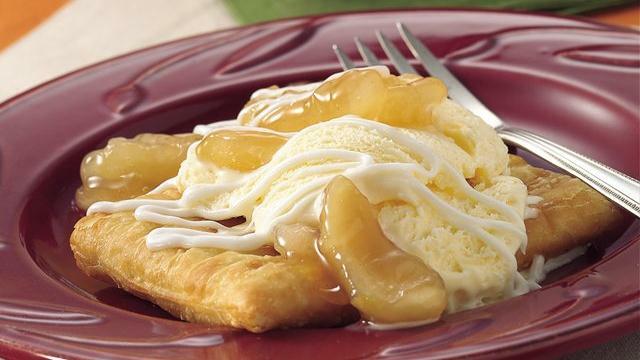 The Pillsbury Strudel Düdeler, a machine powered by tweets, makes icing art on your Toaster Strudel. More details on how it works, below. Starting tomorrow, Tuesday, August 27, Twitter users who send a tweet to @ToasterStrudel with the hashtag #StrudelArt about “how they get their morning moving” will receive a picture of a strudel with personalized icing art based on their tweet. A team from Pillsbury will select tweets, then the message automatically gets iced onto a pastry, photographed, uploaded to a photo gallery on Toaster Strudel’s Facebook page and sent back to the submitter as a TwitPic via Twitter message. The Toaster Strudel brand is new to social media, so the Twitter ploy is an attempt to cultivate a loyal following, fast. In addition, if you’re located in New York, you can receive your own strudel creation in person when the icing machine comes to Union Square August 27 and South Street Seaport August 28. What do you think about the Strudel Düdeler? Innovative or a miss?